Another tablet that is expected to be launched in a couple of months is the Samsung Galaxy 7.7, though no formal announcement has been made in this regard. 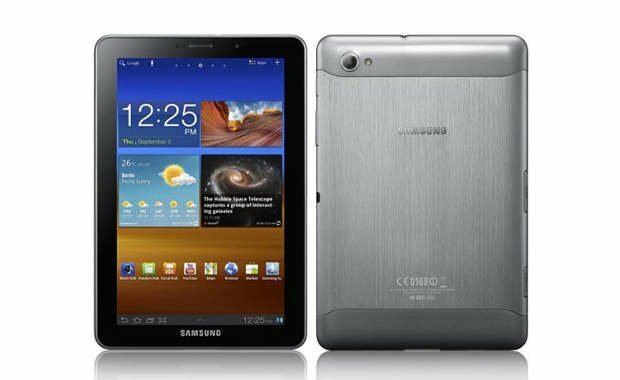 This tablet will come with a 7.7 inch Super Amoled Plus display supporting 1280×800 pixel resolution. Inside, it would pack a dual core 1.4 GHz microprocessor with Mali-400MP graphics chip to power the Android 3.2 Honeycomb operating system. Samsung has added Universal Remote Control functionality in Galaxy 7.7 that will let you control your television as well as home entertainment systems through your tablet. Samsung Galaxy 7.7 will support SIM calling and has a 3 megapixel camera at the back while a 2 megapixel one will be there in its front. It supports 3G and WiFi and will come in 16 GB, 32 GB and 64 GB storage options along with support for micro SD card of up to 32 GB capacity. Samsung has not revealed its price yet but we expect it to be within Rs 30,000 price bracket.